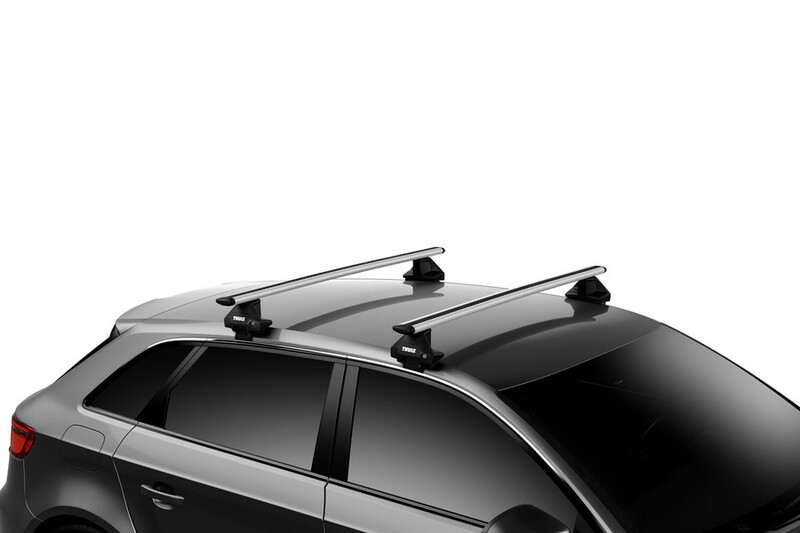 Easy-to-install roof rack foot pack for cars without roof railings or factory fitted fixation points. The Thule 7105 Evo Clamp foot pack contains 4 feet that connect the roof bars to the vehicle with a Thule fitting kit. The Evo Clamp foot pack is very simple to use and includes a torque limiter installation tool to which will indicate when the Evo Clamp is securely fitted to your vehicle. The Evo Clamp foot pack can be used with any Thule roof bars including SquareBar, WingBar, WingBar Evo, SlideBar, AeroBar and ProBar. The loading capactity for roof racks using the Evo Clamp is 75kg unless your vehicle states a lower limit for the roof rack. Locks are included with the Evo Clamp so that the roof bars can be locked to the vehicle for security. Note: The 7105 Evo Clamp is supplied as a pack of 4 feet. 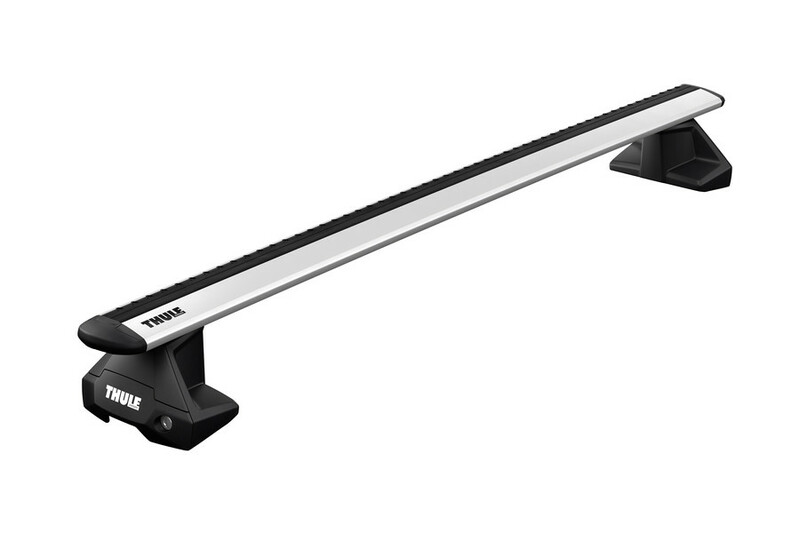 Roof bars and fitting kit are not included. 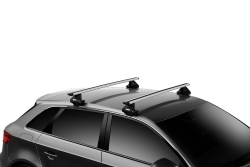 Use our Roof Rack Selector to find the correct foot pack required for your vehicle. Max Load: 75kg - Please also check the maximum roof load capacity of your vehicle. 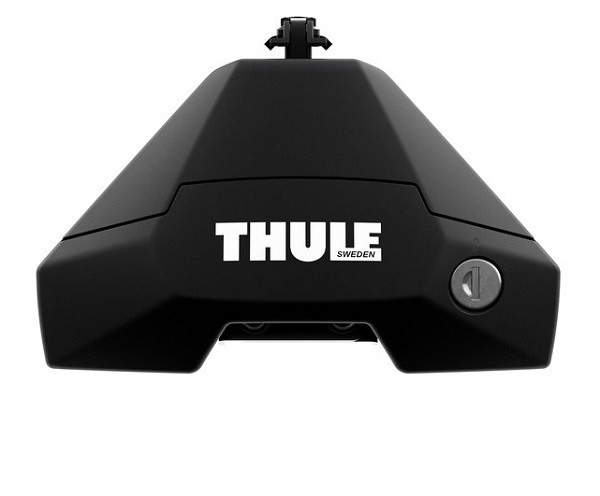 * IMPORTANT NOTE - Video may not show the current model for the Thule Evo Clamp 7105 Foot Pack. We offer a delivery service for the Thule Evo Clamp 7105 Foot Pack throughout the UK & Ireland to home and work addresses. 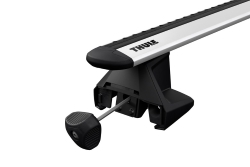 Buy a Thule Evo Clamp 7105 Foot Pack online from our website and collect from one of our nationwide branches.